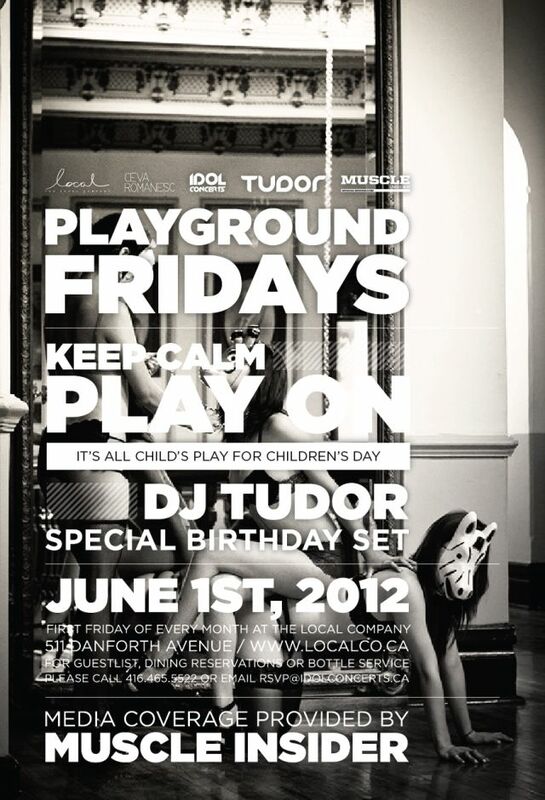 This Friday, the 1st of June, we want you to KEEP CALM and PLAY ON because it’s all Child’s Play for Children’ Day, so bring out the kid inside you and get ready to dance as we welcome the crew from Muscle Insider Magazine and celebrate the birthday of our very own DJ Tudor – the official DJ of MUSCLE INSIDER MAGAZINE for the Toronto Pro Show at the Toronto Metro Convention Centre on June 1-3. Be our guests at The Local Company (511 Danforth Avenue, Toronto) for dinner at 8pm. Reservation can be made by calling 416-465-5522. Things will heat up round 10pm, so email rsvp@idolconcerts.ca beforehand for guest list and bottle service. Please arrive early and ready to party!